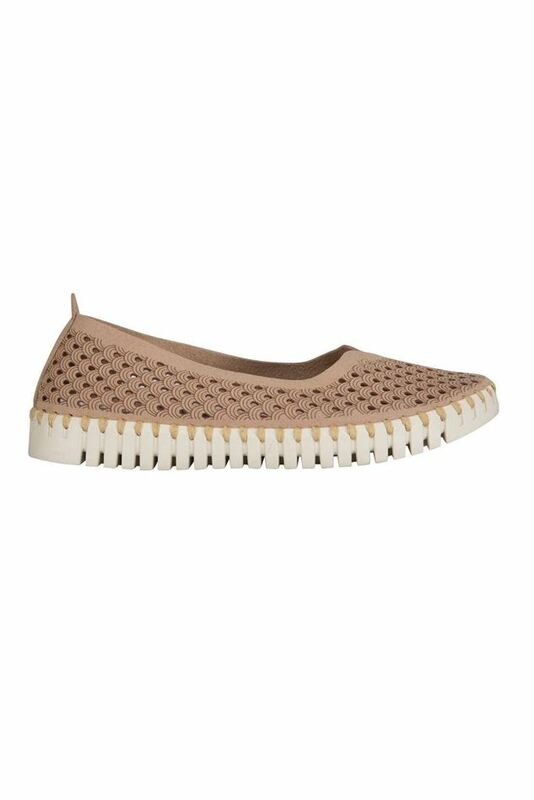 Light weight ballerina shoe with laser cut upper. Flexible sole with great appeal and comfort. The perfect travel shoe.